Come Party With Kotaku Denver... For Charity! 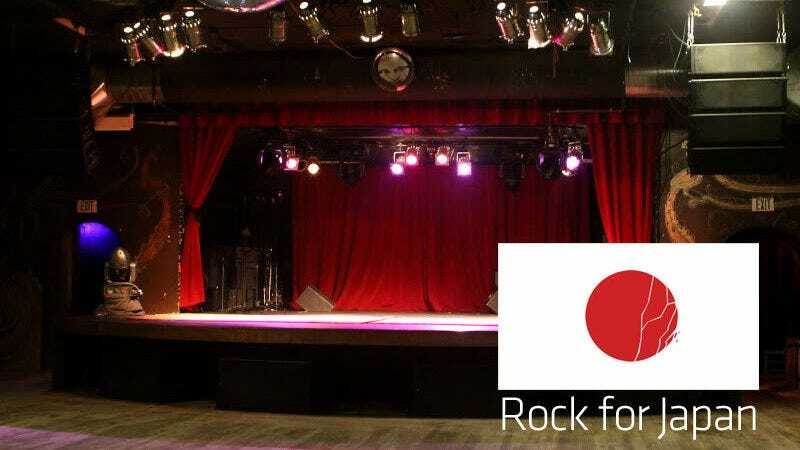 Come join me in Denver tonight as I host a Japan Earthquake Relief Fundraiser with 100 percent of the proceeds going to the Japanese Red Cross Society, which is working directly in Japan to help those impacted by the Sendai earthquake and tsunami last week. The event is open to anyone 16 or older and kicks off at 6 p.m., running until midnight. If you are 21 or older, don't forget your ID and cash donation to get in. We're asking for a minimum donation of $10 to get in and get a door prize ticket. We will be giving away a huge amount of swag. Once again Gabe of Death of the Arcade will be running the free Rock Band and DJ Hero gameplay up on Cervantes' mammoth stage. Since we have two set-ups, we'll be able to cycle through people much faster. I really want to thank Duncan over at Cervantes, Greg and Gabe for helping to put this all together with just a few days notice. Also thanks to Riptide Games' Brian Robbins, DJ LiciousD, Dave Thomas and the many others who are donating their time or goodies to help make this a memorable event. Now get out here tonight to party, game and raise money for a very good cause. Did I mention that Cervantes has a gi-normous disco ball? Because it totally does!! In a nutshell: The event will be at Cervantes Masterpiece Ballroom in downtown Denver on March 24. Doors open at 6 p.m. and close at midnight. Sixteen and older to get in and a minimum $10 donation. Be there and have fun... for a good cause. If you can't make it you can always donate directly to the Japanese Red Cross Society.